Owing to its natural and historic attractions, Trang is one of Thailand's most pleasant provincial capitals. The province lies down south on the coast of the Andaman Sea. Located 839km from Bangkok, the town boasts an abundance of blissful attractions mixed with cultural heritage. The mainland coast is a stretch of rugged limestone cliffs, mangrove forests and some of the most incredible caves in the world. Although most visitors are usually in transit to the neighbouring islands, the city is rapidly establishing itself in the world travel map. Prepare to be wowed by the breathtaking Emerald Cave, the expansive Mu Ko Petra National Park and wildlife sanctuaries such as Khlong Lamchan Park and Namtok Khao Chong. What’s more, by visiting this southern town, you will get to experience enchanting nature trails as well as participate in exhilarating festivals that make Trang the perfect place to unwind. Although the city of Trang upholds an elaborate and efficient transport network, personal cars provide the most reliable means of commuting. City residents and tourists rely on car rentals to cruise not only around the city but also around the neighbouring districts. This way, it is easy to visit even the most widely situated attractions. Not only that, car rentals are a comfortable alternative to the jumble of the bus transport. 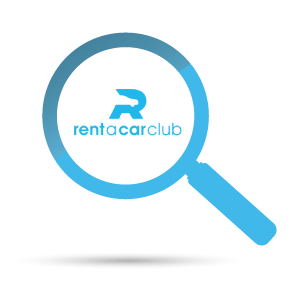 Luckily, the Rent a Car Club company offers their services to the whole of Thailand including the city of Trang. Not only will you get a well-serviced vehicle, but also owing to their vast array of vehicles you will be stepping out in style too. Rent a Car club Trang offers affordable services while upholding excellent standards to all clients. The booking process is simplified and by simply visiting the Trang Rent a Car Club’s official website, you will be able to comfortably access their services. Upon clicking the booking section, you will be prompted to select your pick up location from the resulting drop-down menu. Be sure to input your proper start and return dates so as to get the right billing. Rent a car in Trang has never been easier and what’s more, by redeeming your promo code you will get cheap rental prices. The company has branches all over the country. This makes it easy to rely on multiple pick-up locations as well as finalize transactions in any of the major cities in Thailand.